P.E. in Scoil Eoin Phoil, Leixlip. Shooting Stars provide qualified fitness coaches to conduct a fun, exercise filled P.E. 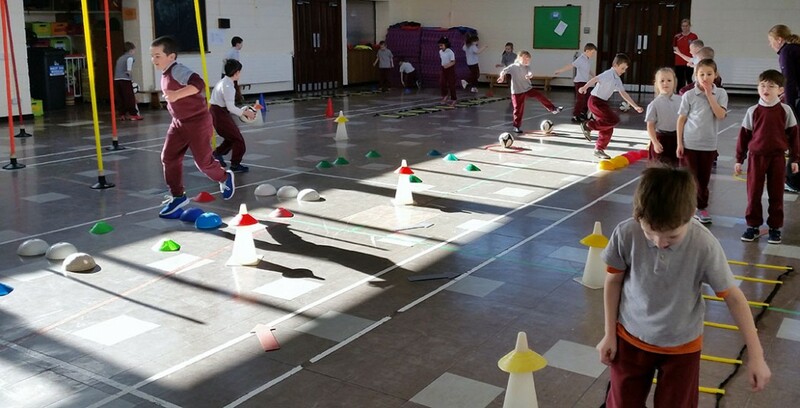 session in line with the P.E curriculum. with emphasis on helping to build positive attitudes towards all activities, health & wellbeing of body and mind. Our aim is to promote enjoyment of and positive attitude towards physical activity & it’s contribution to long term health related fitness. • Scoil Choca Naofa, Kilcock. • St Josephs Boys school, Kilcock. • Scoil Eoin Phoil, Leixlip. • St Patricks National School, Johnstownbridge, Meath. • Presentation Girls school Maynooth.